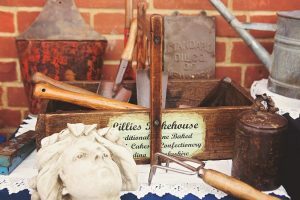 130 fantastic stalls in multiple indoor areas for you to explore, and as usual, there will be a plethora of amazing and unusual items on show. 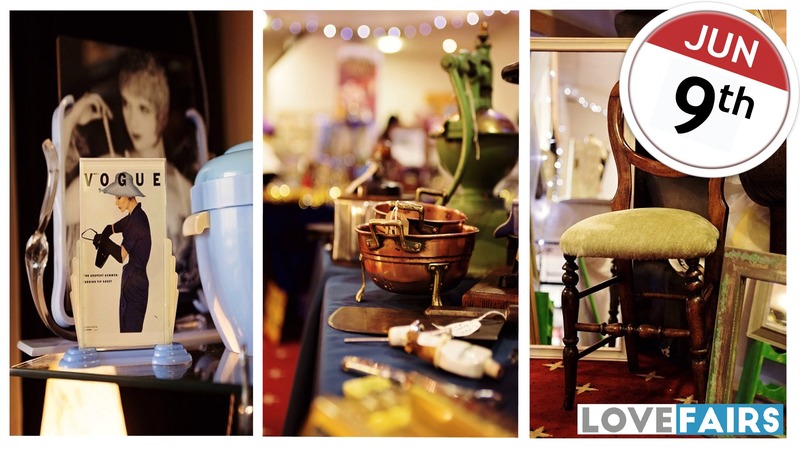 There will be some truly amazing dealers with a real variety of items, with something for everyone’s pocket. Refreshments are available to purchase on site, as well as a licenced bar and the fabulous Swing singer, Steve Conway, will be performing throughout the day! Please note that the venue operates a strict no dog policy (except Guide Dogs). The fair opens at 10.30 am (9.30am for Early Bird tickets) and closes at 3.30pm. Admission is just £3.50 (£5 for Early Bird entry). There is no entry charge for children under 16. If you want to purchase them in advance, just securely purchase the tickets you require below, print the ticket, and bring it along on the day. Please rest assured that your payment is safe and secure through Skiddle, one of the UK’s leading online ticketing companies since 2001. 4. You will receive an email – just click on the link and either print your ticket or download it to your phone! We look forward to seeing you at our June fair! To buy tickets for this event please visit our events page: Lingfield Antiques, Collectables and Vintage Fair tickets from Skiddle. Skiddle is the official ticketing provider to Love Fairs. Skiddle is one of the UK’s leading online ticketing companies since 2001. Over 45,000 event promoters regularly use Skiddle for promoting and selling tickets for hundreds of thousands of events. Skiddle is a very safe way to buy your tickets online.